As retailers, spotting exciting growth brands that customers appreciate is a big part of what makes us tick. In our specialist shooting jacket niche, it’s very unusual for new British brands to successfully challenge the established names, but for very good reasons, Alan Paine have really emerged from the chasing pack over the last few years. Across our entire clothing range, we have a simple philosophy of only stocking styles from brands where we have absolute confidence in the quality of design and construction of the garments. It for this reason that few new brands make it into our range, but 2 years ago Alan Paine became the first new Shooting clothing brand for several years to make the grade, and since then the quality of the clothing has more than proved that it is worth it’s place. Part of what makes our shooting clothing range different to other retail stockists is the close partnerships we like to form with our brands. Here we talk to Sarah Lloyd, Marketing Manager at Alan Paine about their story and share with you some unique insights into a brand that is building a reputation based on quality. What’s different about Alan Paine? What are the styles we should look out for this winter season? Tell us a bit about the history of Alan Paine. William Paine was born in September 1907, the second son of William and Jesse Paine, at a time when his father was struggling to establish his tailoring business at 72 High Street, Godalming. The family home was a lovely Elizabethan building with a large garden and an old timbered warehouse. William discovered some hand knitting machines in the old warehouse and taught himself to knit. Within a few years his hobby became a business; arguably developing the first cable knit sweaters. He found a useful outlet at the local Charterhouse school. Bespoke club coloured trim sweaters were the brand’s speciality and before long the club colours were worn by every cricket, rowing, tennis and golf club in England. Their most famous unofficial patron, HRH Edward VIII (Prince of Wales) was often seen wearing this style of regimental stripe sweater whilst playing golf and ensured it became one of the must-have fashion items of the 1930’s. In 1950, William’s son, Alan Paine, took over the business. The company continued to flourish and the brand developed a reputation for quality classic English sweaters across woollen fibres including Lambswool, Cashmere, Camelhair and Shetland. Rapid expansion into global markets took place, in particular the US, Spain, Italy and Scandinavia. The 1980’s and 1990’s were difficult times for knitwear producers, including Alan Paine; the Paine family sold the business in the early 1990’s. Several years later, James Hinton, who joined Alan Paine in 1986, became the proud owner of Alan Paine. In 2007, the company celebrated its centenary. Over recent years the brand has developed far beyond their core base of classic knitwear to incorporate a successful English lifestyle range into the collection, featuring complementary jackets, coats, shirts and sports coats. Nine years ago Alan Paine launched its exciting Country Collection; an extensive range of stylish classic and contemporary coats, jackets, waistcoats and accessories for both men and women in a variety of stunning fabrics, all offering the characteristic quality associated with Alan Paine. The company is extremely proud of its English heritage and still holds the same traditional values that were the backbone of the company under the leadership of both William and Alan Paine during the early years. Over the last few years you’ve stepped out from your knitwear heritage to successfully challenge the established brands in the shooting clothing sector. What do you put this success down to? We set out to create a comprehensive collection of beautifully crafted, quality countrywear garments at affordable price levels. We introduced two reasonably priced tweed ranges, which are still pivotal to the collection today: our pure wool Compton tweeds are defined by their striking colourways and luxurious soft handle and our Rutland tweeds are crafted in a wool blend to create a durable yet stylish range of products. We also decided to stock back many of the products in the collection to ensure customers don’t miss out if their size or preferred colour is out of stock. Since the inception of the collection we have received a wealth of trade and consumer press coverage and secured positive reviews of our products from both consumers and press alike. This has resulted in a high number of repeat customers returning to buy more products. The whole team at Alan Paine are passionate about the brand and strive to offer excellent customer service. For potential customers who are new to Alan Paine, what is the point of difference that is driving your success? As mentioned before, we offer beautifully crafted, quality countrywear garments at affordable price levels. We are confident our countrywear collection delivers a winning combination of performance and comfort in all our products through a skilful blend of technical excellence and impeccable styling across all our ranges. Moving to your range for this coming winter season, what are the styles that we should be looking out for, and why? 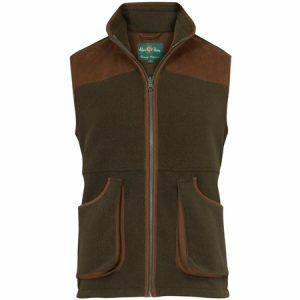 A great addition to our popular Aylsham fleece collection, these classic fit waistcoats feature deep hand-warmer pockets, an adjustable waist and hem and come in an array of colours. 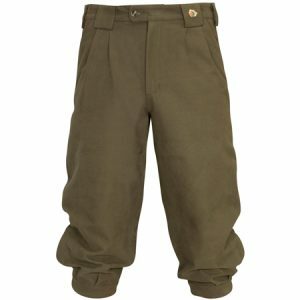 Crafted from a soft yet robust cotton blend these breeks are waterproof and breathable and fully lined with a mesh lining. 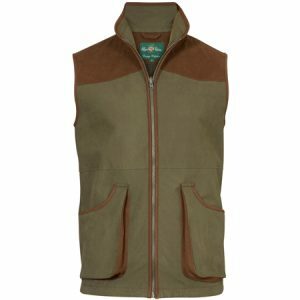 With its cotton blend outer this lightweight shooting waistcoat has a waterproof and breathable outer plus handy adjustable waist cord and deep cartridge pockets. Selected by Brand Ambassador Ceri Sweeney for the upcoming season. Alan Paine, clothing, Country Clothing, shooting, Shooting Clothing, Shooting Jacket. Bookmark.